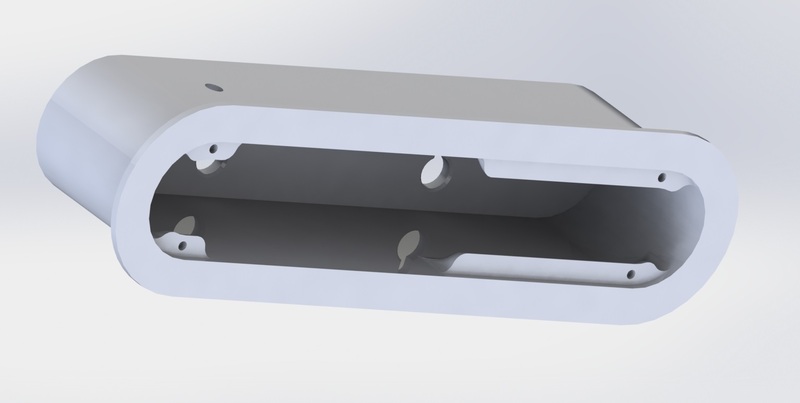 Panelization is the process of taking two or more PCB designs and combining them using tabs or v-scores that you would then separate into individual boards once they come back from manufacturing. It’s a way to get more than one design made in a single order. There are a few forum posts or other snippets on how to accomplish this out there already, but not a real guide. For my own sake, this is how you can do this panelization using all free tools. I implement this technique whenever I’m creating closely-related PCBs. 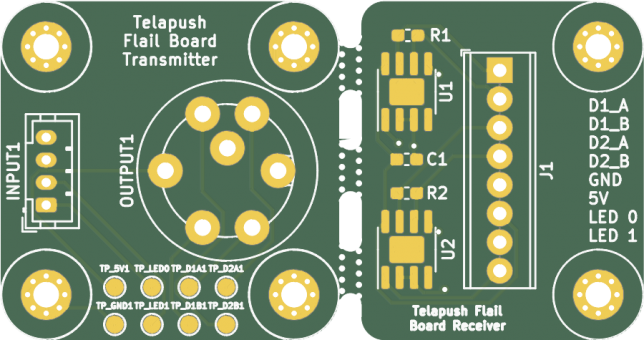 The design highlighted in this blog post is a transmitter/receiver pair, meaning that there would never be a transmitter without a receiver, or vice-versa. 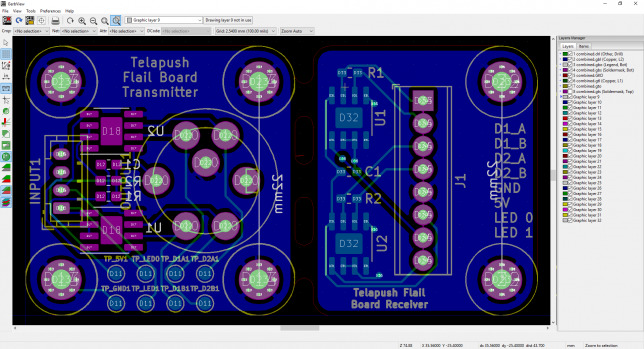 Design is made simple by doing the layouts individually, and manufacturing is made simple by getting them made as a single board, not having to coordinate multiple orders. Let’s get started with the guide. You probably already have KiCAD. 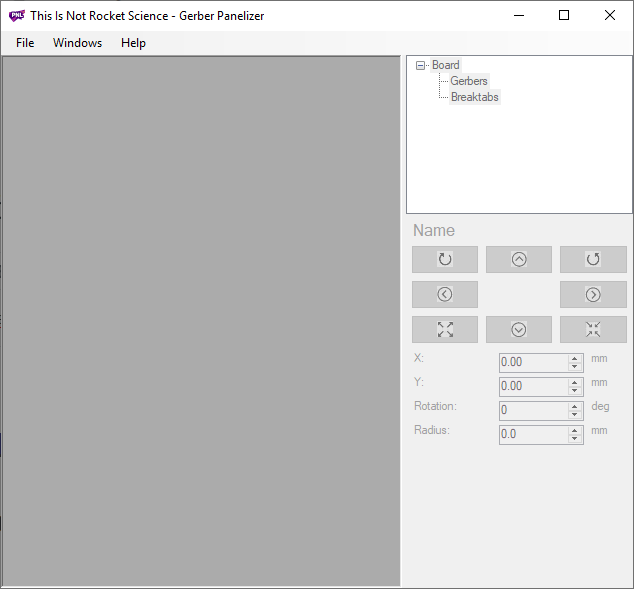 Next, make sure to download GerberPanelizer by This is not Rocket Science (site link) from GitHub. This guide uses the 2018-08-10 snapshot release. Your designs have to be completely ready for production before starting this process. Components placed, tracks laid, zones poured etc. It is very “one-way” in that it is impossible to update an already panelized design once it has been exported. Here’s one of the designs that will be added to the panel. You’ll want to add a grid origin that is really close to your design. 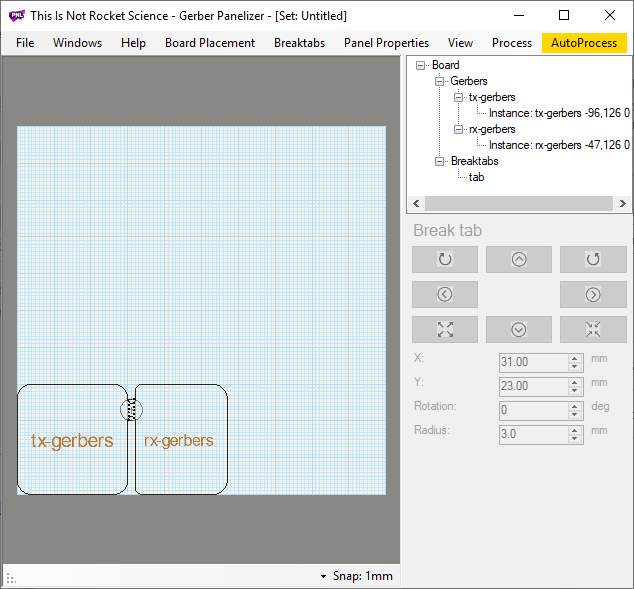 In KiCAD, select place → grid origin to do this. I am putting it in the top left hand corner of the board. 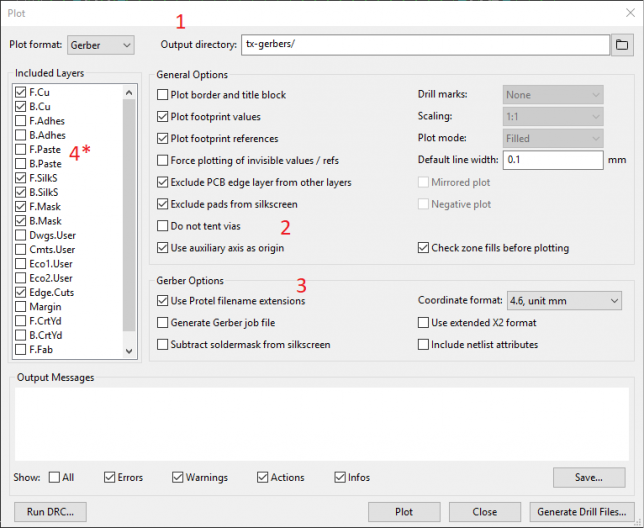 In pcbnew, select file → plot to adjust the gerber export settings. Make sure Output directory is set to an empty directory somewhere on your disk. 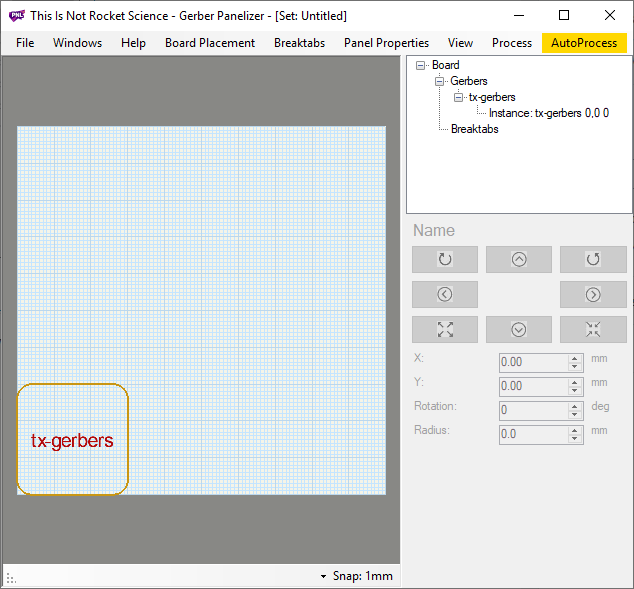 In this example, it’s set to tx-gerbers. *Optional* Since I’m not using them in this design, I’ve unchecked F.Paste and B.Paste. Now, re-do the guide up until this point for however many unique designs you want to add to this panel. If you want to duplicate your design multiple times in the same panel, you can add an instance by right clicking on the instance in the right hand view and then clicking add instance. Continue to add tabs in the same manner until the text turns a bright green color, this lets you know that the boards will be secured. There is no way to automatically add the proper tabs, so make sure you use your best judgement. Now we’re ready to export! The merged output directory will include several image renderings of your merged designs, this is a great first check to make sure that everything went well. Looks good! However before you send any critical designs off for manufacturing it’s best practice to visually inspect the layers with a gerber viewer. 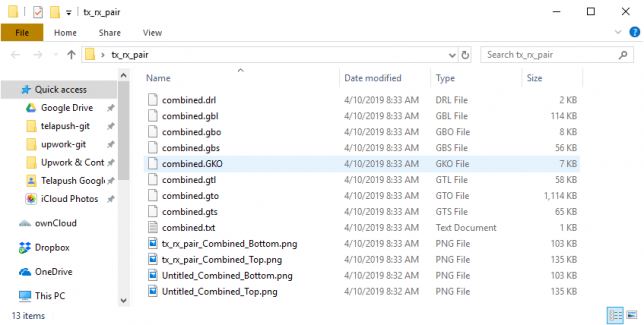 Save the merged output directory as a .zip file. 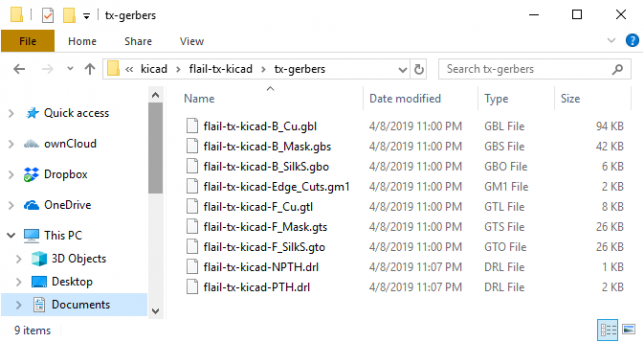 KiCAD ships with a program called GerbView to inspect gerber files. 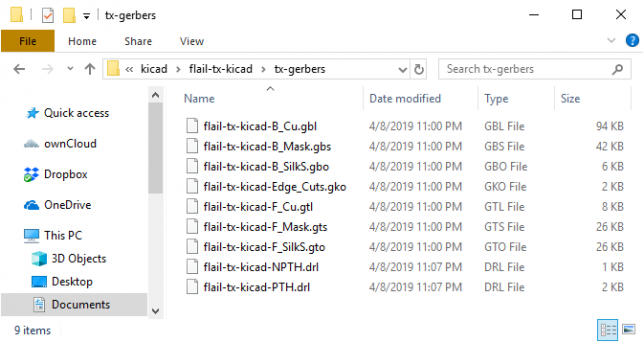 Open that gerbview and then open your zipped merged output directory with file → open zip archive file. There will be an error message which you can ignore. 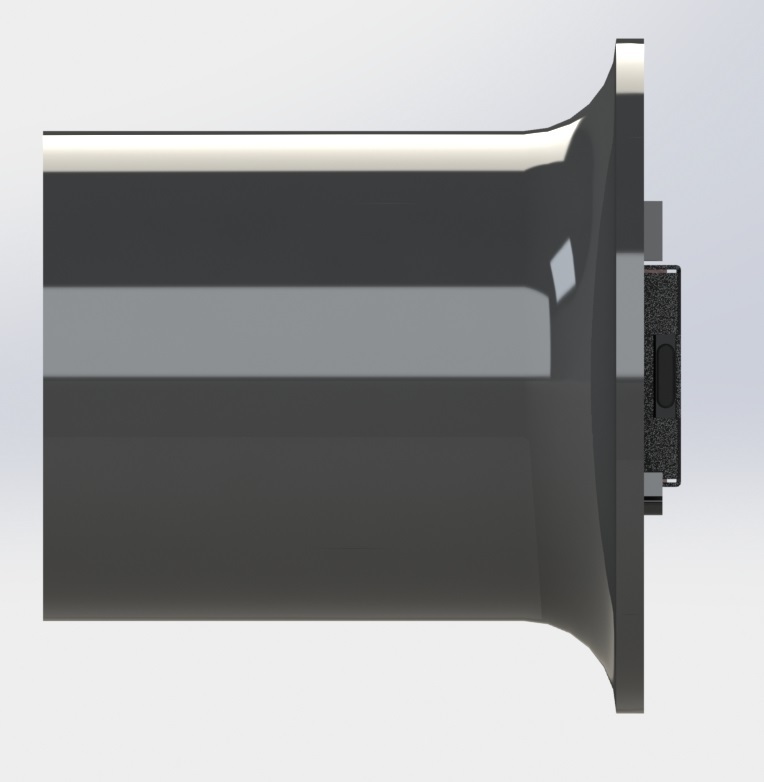 There’s the design as we expect it, you can uncheck the different layers on the right pane just like in pcbnew to inspect them one by one. 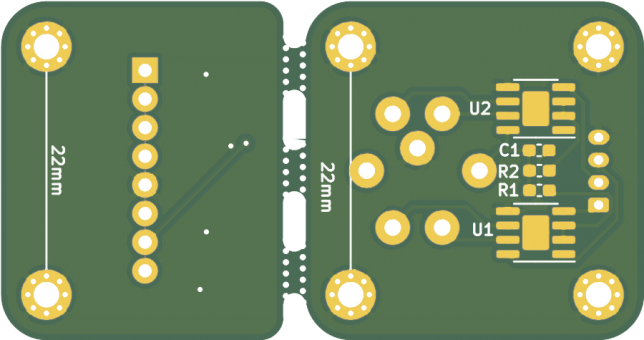 I’ve uploaded this design to oshpark (a domestic PCB fab service) to see if their preview also looks correct and again, there are no problems. 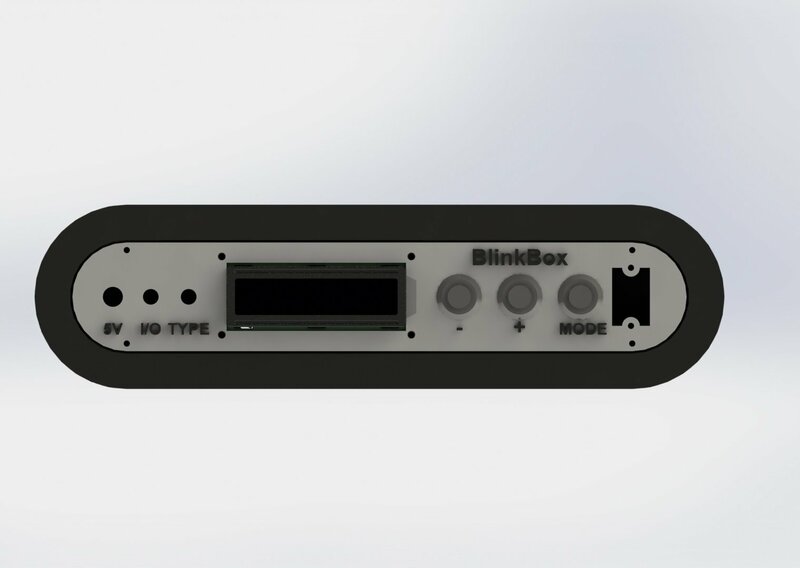 You’re now ready to send your panelized designs out for manufacturing. Congrats! Thanks for reading! Did this guide work for you? Let me know in the comments below this post. 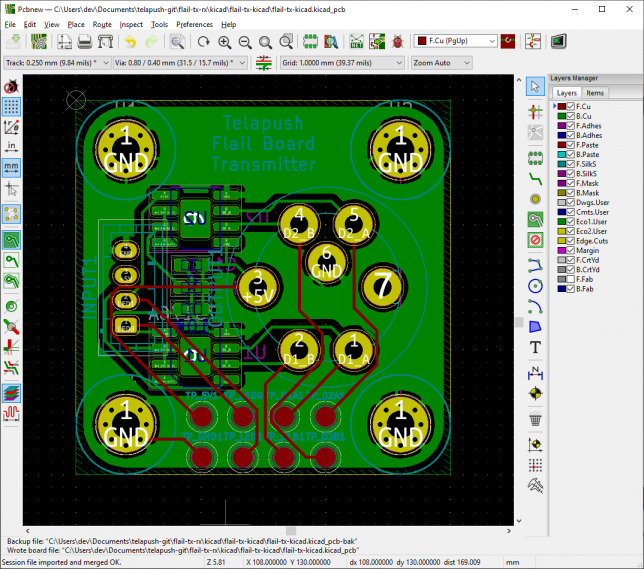 Note: This is confirmed to work with KiCAD 4 and 5. 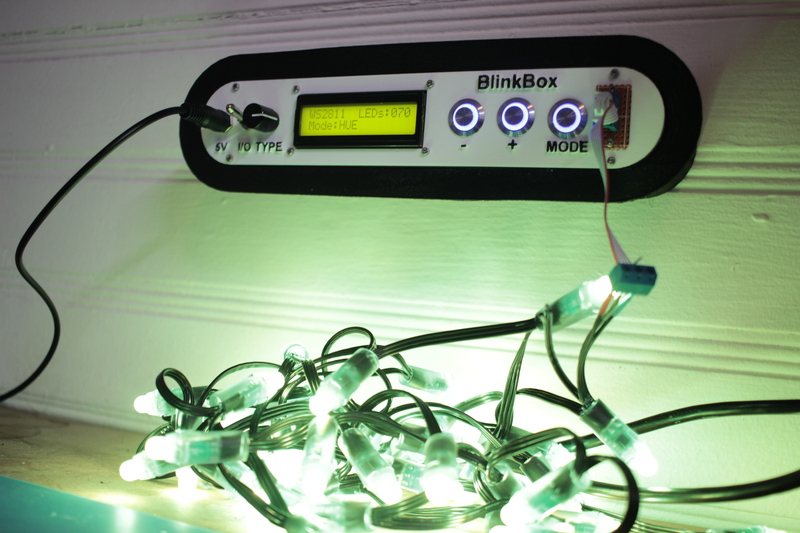 This project got featured on the official arduino blog as well as hackaday! Thanks to everyone that shared! I work with addressable LEDs a lot. 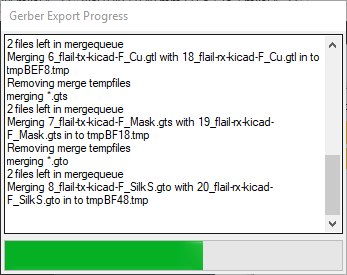 For all that they’re great for, they’re kind of hard to debug when you have a lot of them connected up at once. This is especially apparent when you have many small single modules in hard to reach spaces. 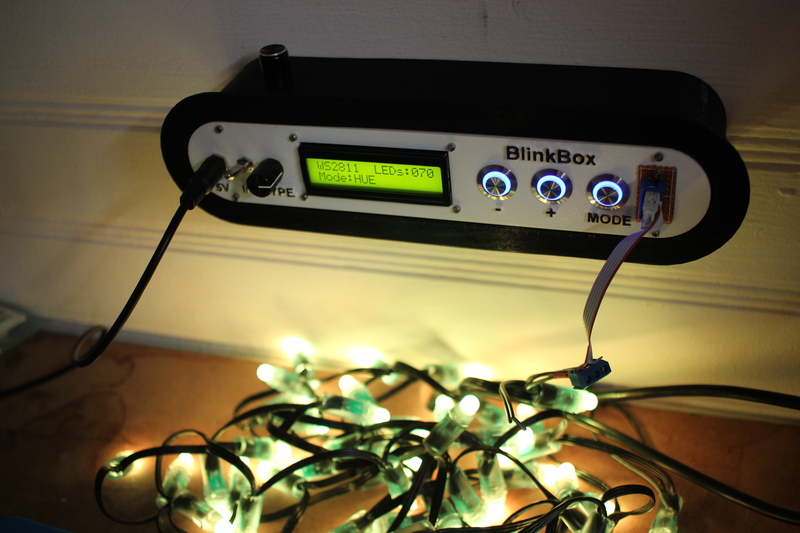 This lets me set the color and number of LEDs in a strip, and then displays a color pattern. This way I can tell if an LED has become disconnected in a strip, or if a channel inside a particular has died. 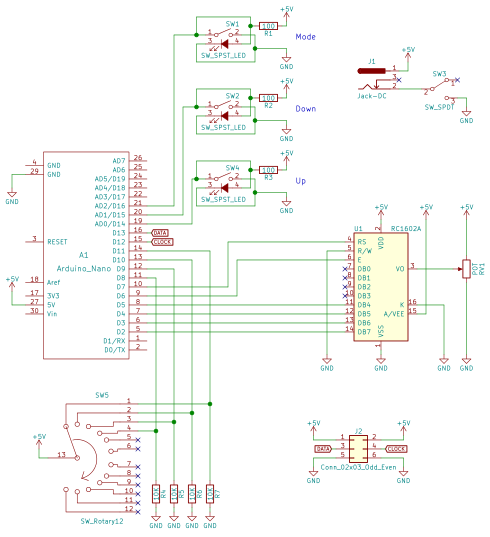 All of the raw code solidworks, and KiCAD have been posted on my github. You can look at the 3D models on thingiverse as well. I added a ridge so you can grab onto something as you interact with the switches / buttons. There really isn’t a lot going on here, the parts are probably the coolest part of the project. The 5V jack is a 6mm DC barrel jack, the pushbuttons are illuminated 16mm pushbuttons from adafruit, the on/off switch is a locking toggle switch, and the 4 position rotary switch can be found here. I wired up the circuit on a spare piece of perfboard. My code is available on my github. 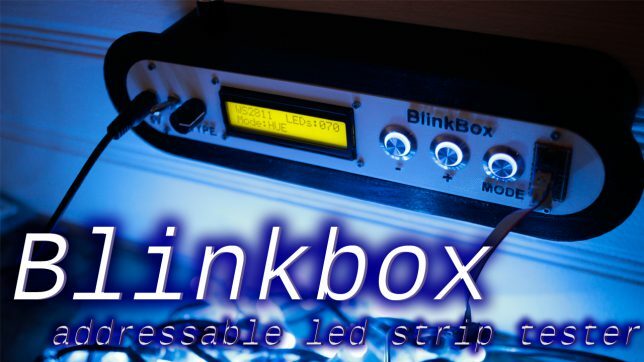 The LED driving part of the code is based on FastLED, a beautiful library for driving these types of addressable LEDs. That’s pretty much it! I’ve already gotten some use out of this tool and have found great satisfaction in taking the time to make it look nice as it will be a permanent addition to my lab. I’ll post any updates I make to this project as edits to the top of this post. 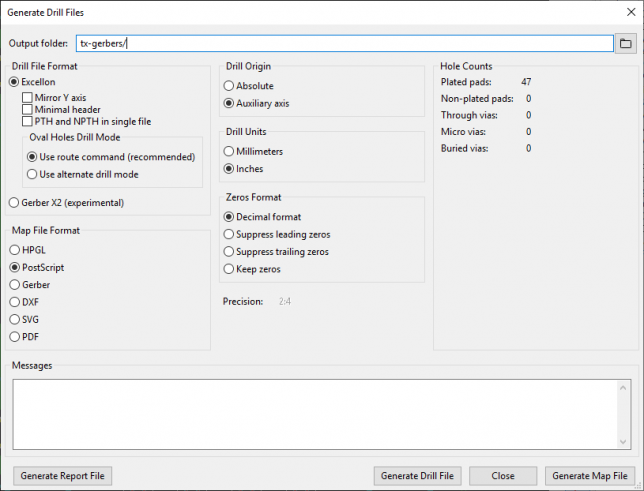 This is a command line utility to automatically calculate the distance between two zipcodes and then put the results in an excel (.xlsx) file. It works for US postal codes only. 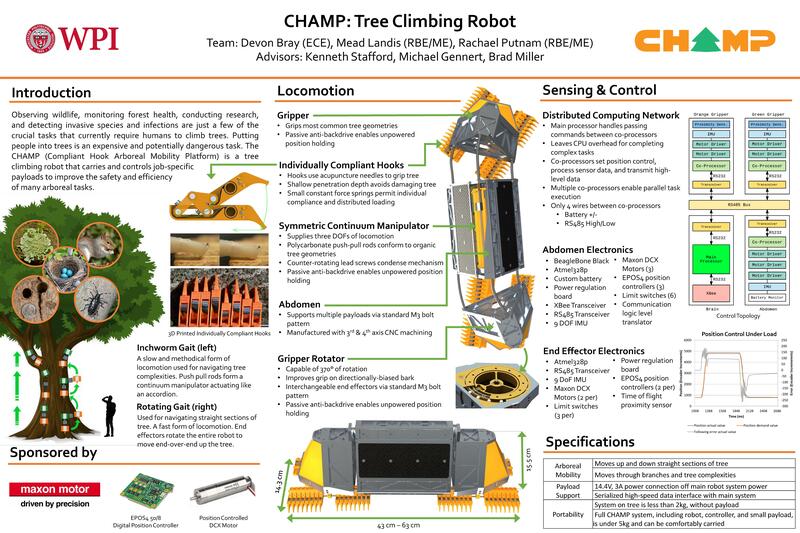 It was developed to help a colleague and is very application-specific. The program skips the first row in the spreadsheet to avoid headers. Which file would you like to modify? - International Addresses.xlsx  - testbook.xlsx File Number: 1 You've selected [testbook.xlsx] to edit. Which sheet would you like to modify? - Sheet1  - Sheet2  - Sheet3 Sheet Number: 0 You've selected [Sheet1] to edit. Which column to read? (ie. A, B, AA): A Which column to write result? (ie. A, B, AA): B Point A Zipcode? 02114 Job Complete. 10 modifications made. Which file would you like to modify? You've selected [testbook.xlsx] to edit. Which sheet would you like to modify? You've selected [Sheet1] to edit. Job Complete. 10 modifications made. 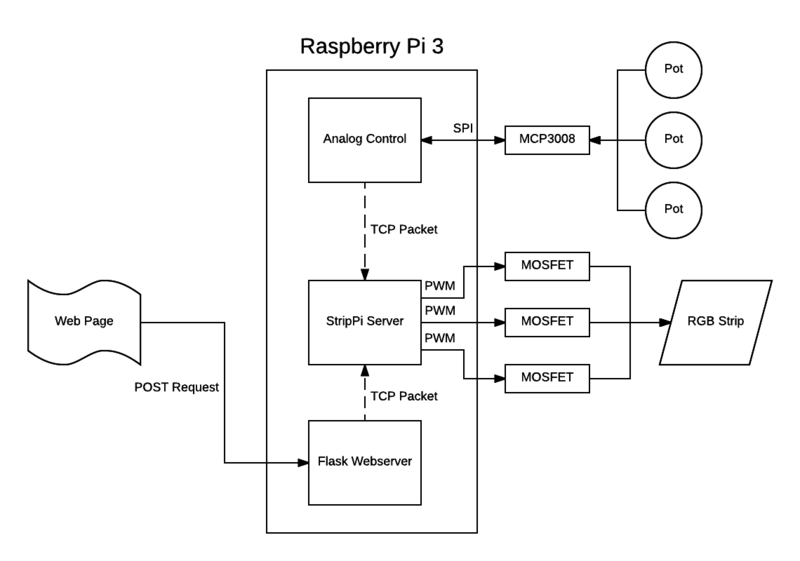 Processes on the device send RGB values to the Strip Server via a TCP packet. 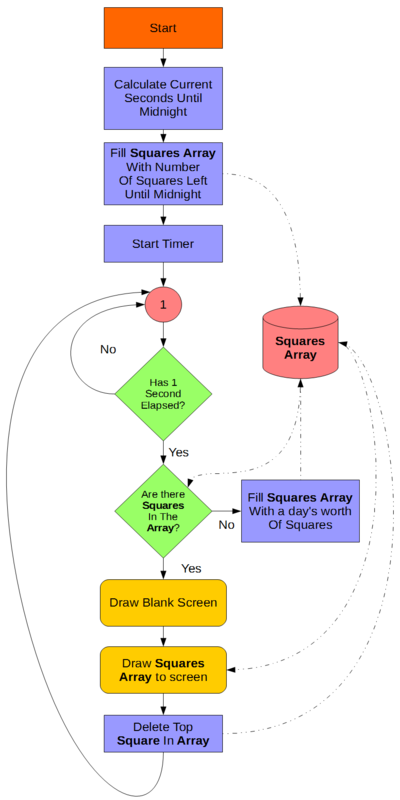 This very very easy to implement, and almost all of the hard work is taken care of via the socketserver module included in python3. 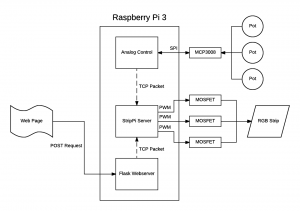 This also allows for interactions with that main process (the StripPi Server process) to take place off of the Raspberry Pi as well. I plan on writing an Alexa integration for this project moving forward, and this should make that a lot easier. 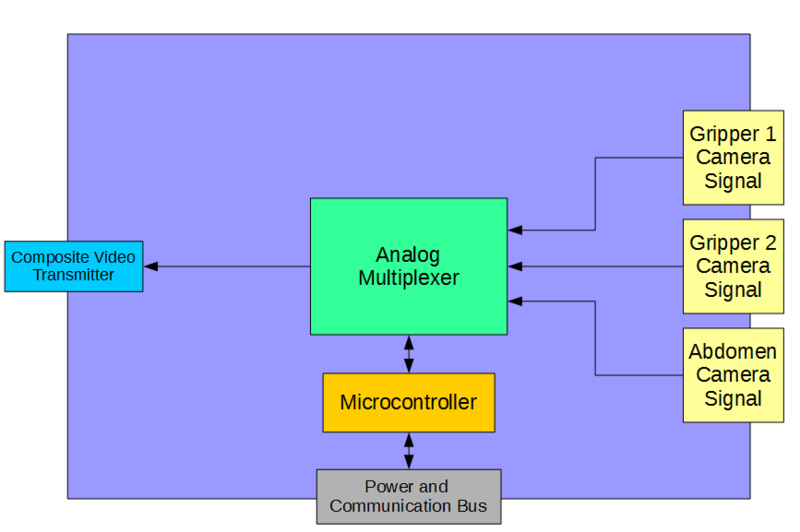 The analog to digital conversion is handled by an MCP3008, exactly the same way as I did it here. This was one of those rare times where I had a hunch, followed it, and had a great result. Trying to get the most out of a day has been big theme of my life lately, as I’m sure it is for many people. I’ve found that I always manage my time better when things are urgent; I’m considerably more productive when I have to be. I want an ascetically pleasing way to be able to represent how much time is left in the day at a granular scale, like an hourglass. 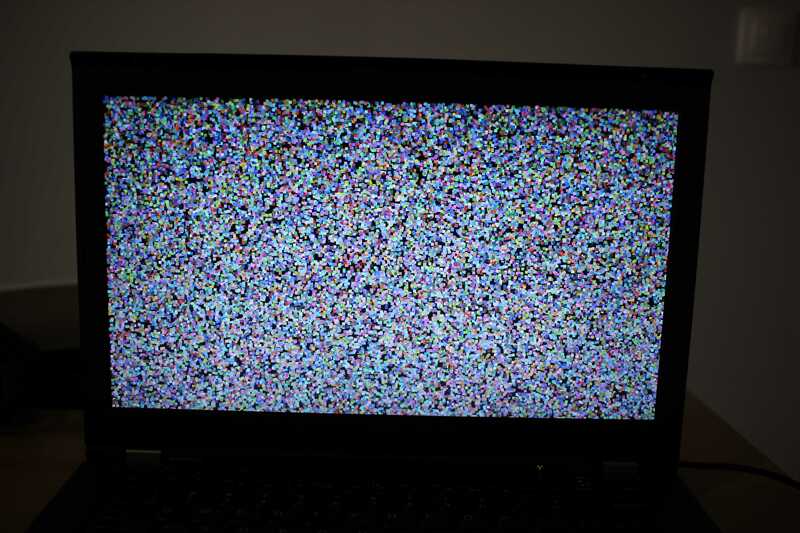 Watching individual seconds disappear will look cool and (hopefully) create that sense of urgency that I want to induce. At the start of each day, the display is filled with squares at random locations, with a random color. As each second elapses, a square will vanish. # this will happen once per "day"
# create and start the clock! Again, very simple stuff, but worth it to talk about. I’ll be back at my place that has the Raspberry Pi and display I would like to use for this project, so more on this then. There are many maker/hackers out there like me that operate little blogs just like this one and would like to expand but spend absolutely no cash. This post is for that kind of person. Basically, this configuration allows me to host two websites (they happen to both be wordpress installations) with different url’s out of the same server on the same local network, sharing the same global IP address as well as host email accounts across all of the domains I own. The backbone of this whole system is virtualbox controlled by phpvirtualbox. This is a preference thing. You could install each of these components on the same server but virtual machines are an easy way to keep things conceptually simple. 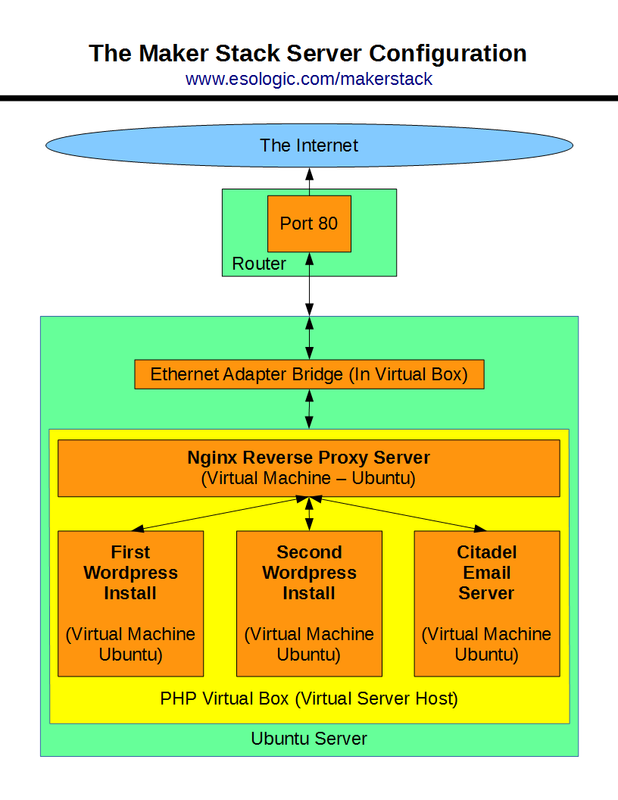 All of the traffic from the web is ingested through a reverse proxy on a server running ngnix. 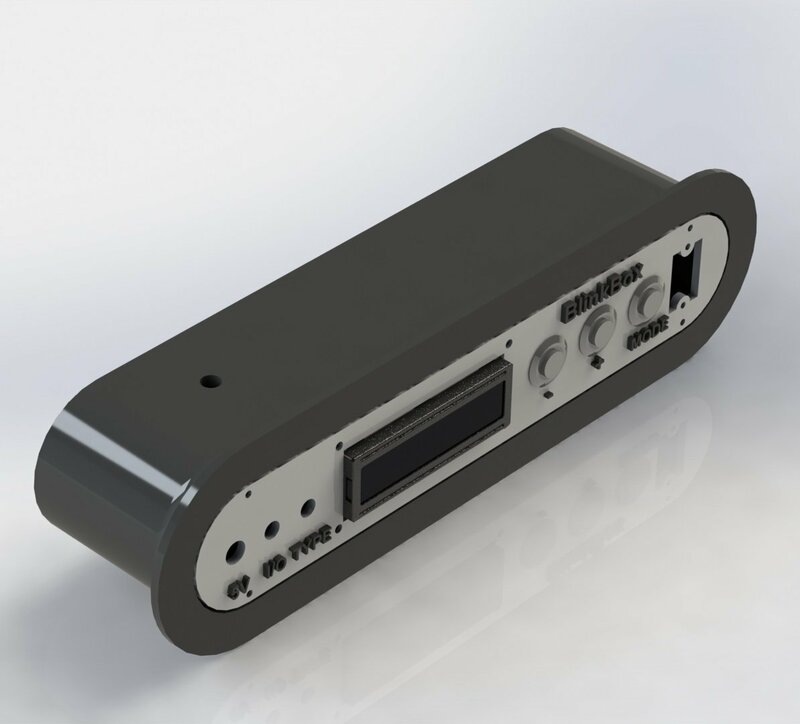 It identifies where the user would like to end up at (using the url) and directs them to the proper hardware on the network. I have done detailed posts on each part of this installation, I’ll glue it all together here. First thing’s first, everything runs out of Ubuntu, particularly Ubuntu 12.04.3 LTS. To do any of this you will need a computer capable of running Ubuntu, this is my hardware configuration. To install Ubuntu, the official installation guide is a good place to start, if you have any trouble with it leave a comment. Once you have Ubuntu, install virtualbox to host the virtual machines, and phpvirtualbox to headlessly (no need for a monitor or mouse and keyboard) control them. Instructions here. Next you need to install Ubuntu inside of virtualbox on a virtual machine. 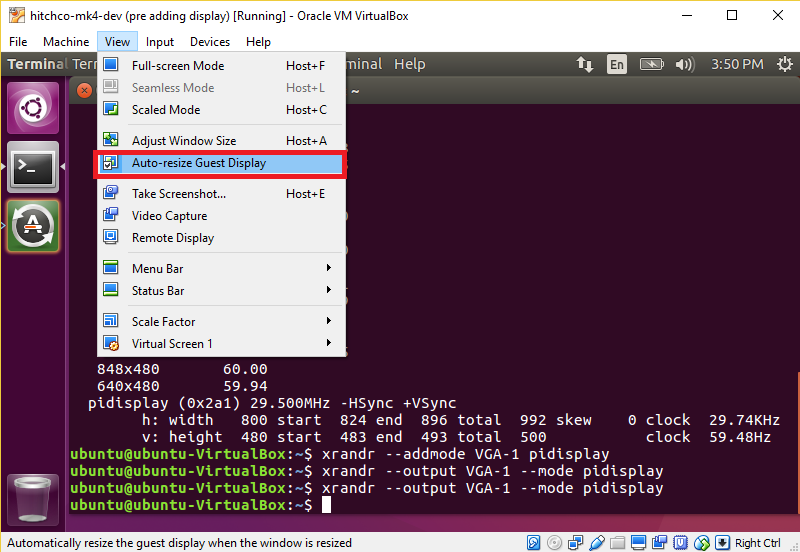 Navigate to your installation of phpvirtualbox and click new in the top left. In order to get our new virtual machine on the internet, we must bridge the virtual adapter in the vm with the physical one. This is very easy to do. Click the vm on the left, and then go into settings then into network. Set “Attached to:” to Bridged Adapter. 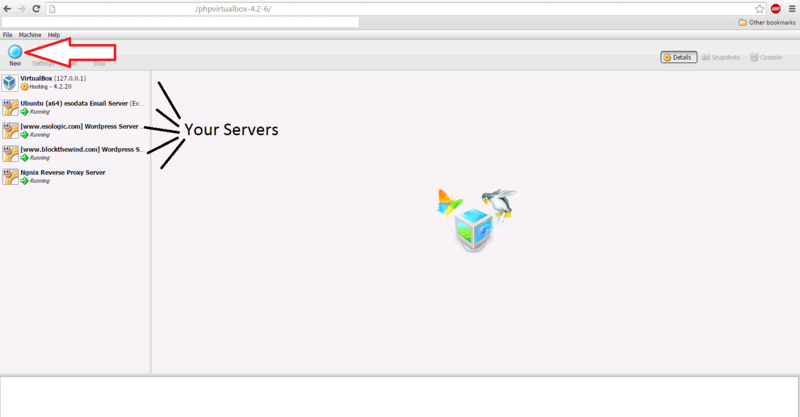 Once Ubuntu is installed on your new virtual machine inside of phpvirtualbox running on your Ubuntu server (mouthful! 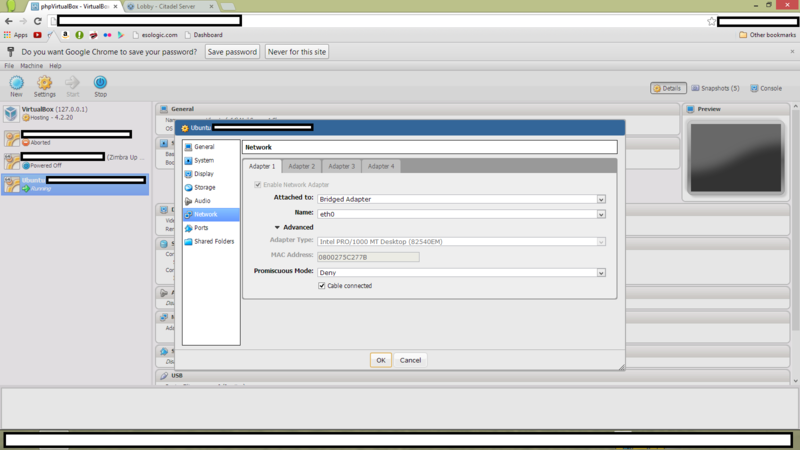 ), to make the whole thing work, we must install and configure a nginx as a reverse proxy server. Say a project of yours deserves its own website, since your already hosting a website out of your residential connection, you would have to pay to host somewhere else as well right? Wrong. I have written this guide to do this. Once this installation is done. Make sure that you assign a static IP address to this server (as well as all other VM’s you create) and forward your router’s port 80 to the nginx server. The port forwarding is specific to the router, if you have no clue how to do it, google “port forward nameofrouter”. You will then have to point the DNS server with your Domain Name Registrar to your router’s global IP address. Obtaining this IP address is easy. And the foundation is set! Now that you know how to install a virtual machine and you have a nginx reverse proxy up and running, you should point the proxy to things! In my configuration, I point it at two different I use this routine to do wordpress installations all the time. On my server, I run two VM’s with two wordpress installs. One of them is for this blog, and the other for another website of mine, www.blockthewind.com. To get a simple email server up and running, follow this guide which goes a little more in depth on phpvirtualbox but results in a citadel email server. I decided to go with citadel because of how easy the installation was and how configurable it was through the GUI. I use email accounts hosted with citadel for addresses that I would use either once or infrequently. It’s free to make these addresses, but citadel is older and probably not as secure as it could be for highly sensitive data. That’s it! Do you have any suggestions as to what every small-scale tech blogger should have on their server?